In its January 2018 Short-Term Energy Outlook (STEO), EIA forecasts that total fossil fuels production in the United States will average almost 73 quadrillion British thermal units (Btu) in 2018, the highest level of production on record. 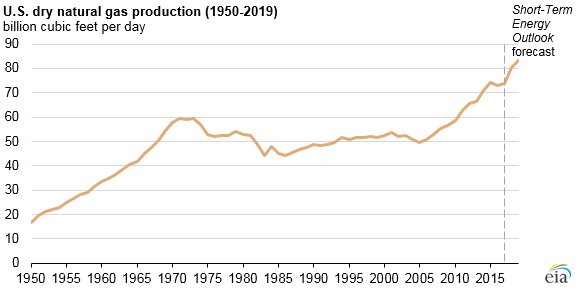 EIA expects total fossil fuel production to then set another record in 2019, with production forecast to rise to 75 quadrillion Btu. 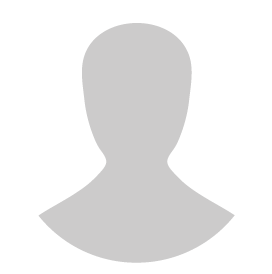 Fossil fuels include dry natural gas, crude oil, coal, and hydrocarbon gas liquids (HGL). Although EIA tends to express fossil fuel production in physical units, such as cubic feet for natural gas, barrels for oil, and tons for coal, expressing production in heat content allows for comparisons across fuel types. 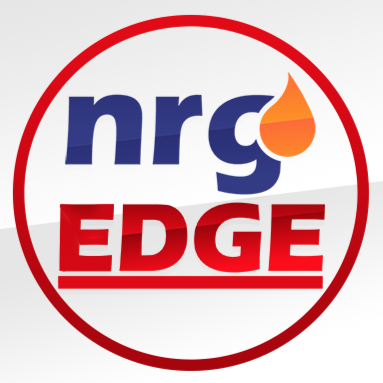 Record production levels are largely attributable to increased production of natural gas and crude oil enabled by the use of hydraulic fracturing techniques in tight rock formations. EIA expects increases in natural gas production to be the leading contributor to overall fossil fuels production growth in 2018 and increases in crude oil production growth to the be leading contributor in 2019. In both years, expected growth in natural gas, crude oil, and HGL production more than offset expected declines in coal production. On a heat-content basis, dry natural gas accounted for the largest share of fossil fuel production in 2017 at 41%. Crude oil accounted for 29%, coal for 23%, and HGL for the remaining 7% of the total. 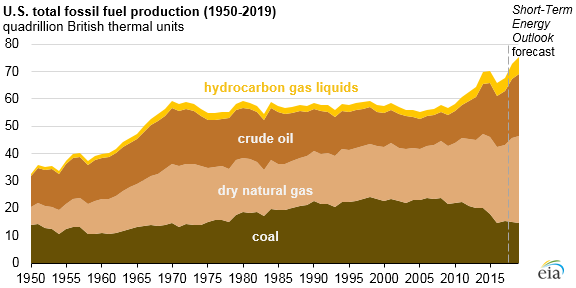 As recently as 2010, coal was the leading source of U.S. fossil fuel production, but it was surpassed by dry natural gas in 2011 and by crude oil in 2015. In 2018, EIA forecasts dry natural gas production will average 80.4 billion cubic feet per day (Bcf/d), an increase of 9% from 2017 levels. If achieved, this level of production would be the highest annual average on record, surpassing the previous record of 74.2 Bcf/d set in 2015. EIA forecasts dry natural gas production will set another record with 83.0 Bcf/d in 2019. 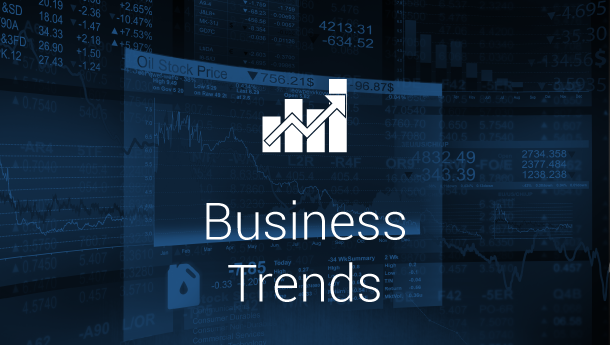 Growth is likely to be concentrated in Appalachia’s Marcellus and Utica shales along with the Permian Basin in Texas and New Mexico. EIA expects total U.S. crude oil production to average 10.3 million barrels per day (b/d) in 2018, up 10% from 2017. 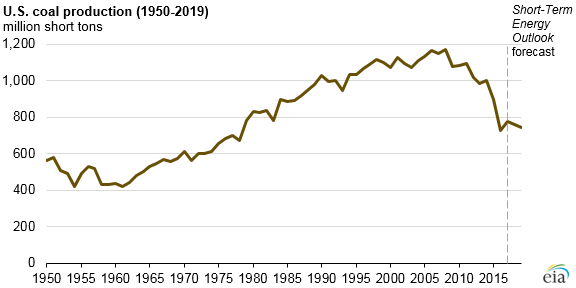 If achieved, this would be the highest annual average U.S. oil production on record, surpassing the previous record of 9.6 million b/d set in 1970. 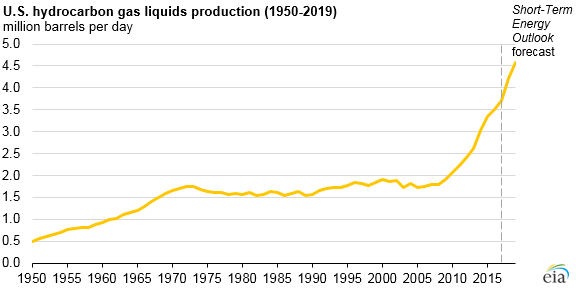 In 2019, EIA expects crude oil production to continue to increase, reaching an average of 10.8 million b/d. Increased production from the Permian region in Texas and New Mexico accounts for most of the projected increase in the U.S. total. EIA also expects a significant contribution to crude oil production growth from the Federal Gulf of Mexico, as seven new oil-producing projects are slated to come online by the end of 2019. EIA forecasts coal production will total 759 million short tons (MMst) in 2018, down 2% from 2017. 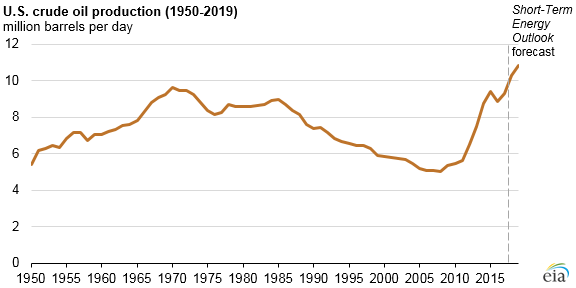 Coal production is expected to fall to 741 MMst in 2019, a further 2% decline from 2018. In both years, EIA expects production declines in the Appalachia and Western producing regions to be partially offset by production increases in the Interior producing region. U.S. coal consumption also is projected to fall the next two years. About 90% of domestic coal consumption occurs in the electric power sector, and EIA expects relatively low natural gas prices to reduce demand for coal used to produce electricity. EIA expects demand for U.S. coal exports to fall in 2018 and 2019 after a slight increase in 2017. Growth in crude oil production, especially in the Permian Basin, is projected to result in increased associated natural gas production and to contribute to growing HGL production at natural gas processing plants. EIA forecasts HGL production will average 4.2 million b/d in 2018 and 4.6 million b/d in 2019.